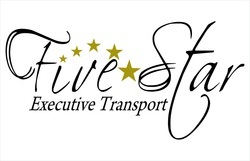 Welcome Aboard Five Star Executive Transport! Five Star Executive Transport is a premier provider of high-quality personal, corporate, group transportation and wedding services in Puerto Rico. Our company, conveniently based in the San Juan Metroplex prides itself to provide quick, convenient limousine, SUV, and car service to and from the city and all across the island. Our expertise covers the entire spectrum from prompt, reliable transport to all area airports and hotels. We are here when you have to make that important business connection, or to a secure worry-free night out with friends. Five Star Executive Transport loves picking you up at the airport, pier or hotel; but we are much more than just a Transfer Service! Five Star is also your luxury gateway to all Puerto Rico's best known attractions. It includes our famous beaches, golf courses, hotels and restaurants. We even offer guided tours of Old San Juan, Rain Forest, Mountains, Ponce City, Camuy Caves and anywhere in between. Destination Weddings is also part of our specialty! A 5 star dream wedding can not be trusted to 3 star transportation options! Let us take you to where your new journey together begins with 5 star service! If you are looking for unparalleled service you have come to the right place. If you need point-to-point limousine, SUV, Sedan or Executive Van service from anywhere in the island, search no more. If Puerto Rico is the Shinning Star of the Caribbean, we are it's Five Stars!